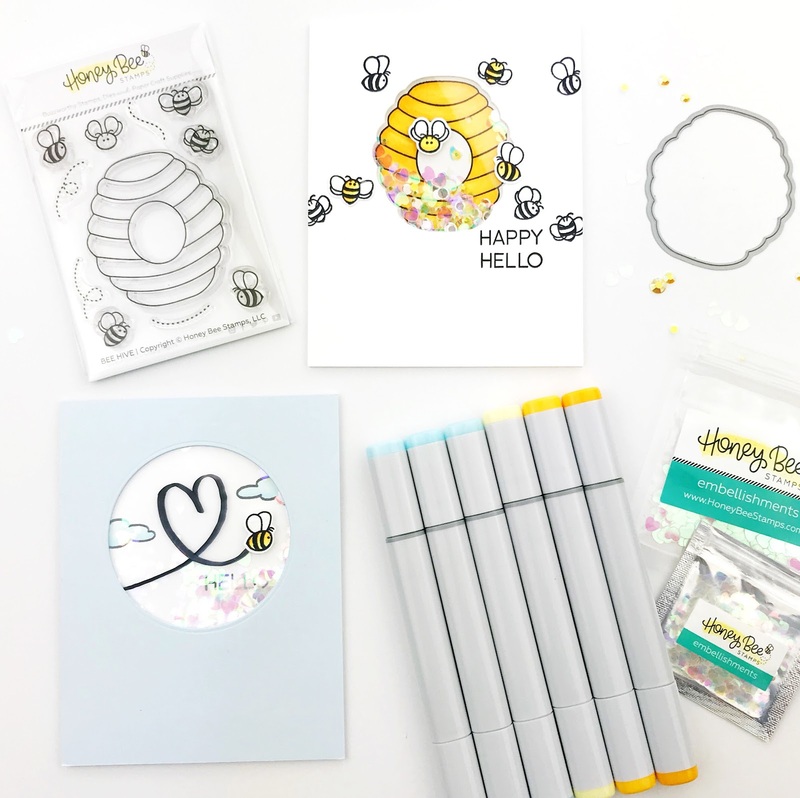 Have you heard that Honey Bee has a new release coming soon? You are going to love it and I have a little sneak peek to share! The little 3x4 Bee Hive stamp & die sets might be some of my new favorites! I have already added bitty bees to at least a dozen cards, including these! 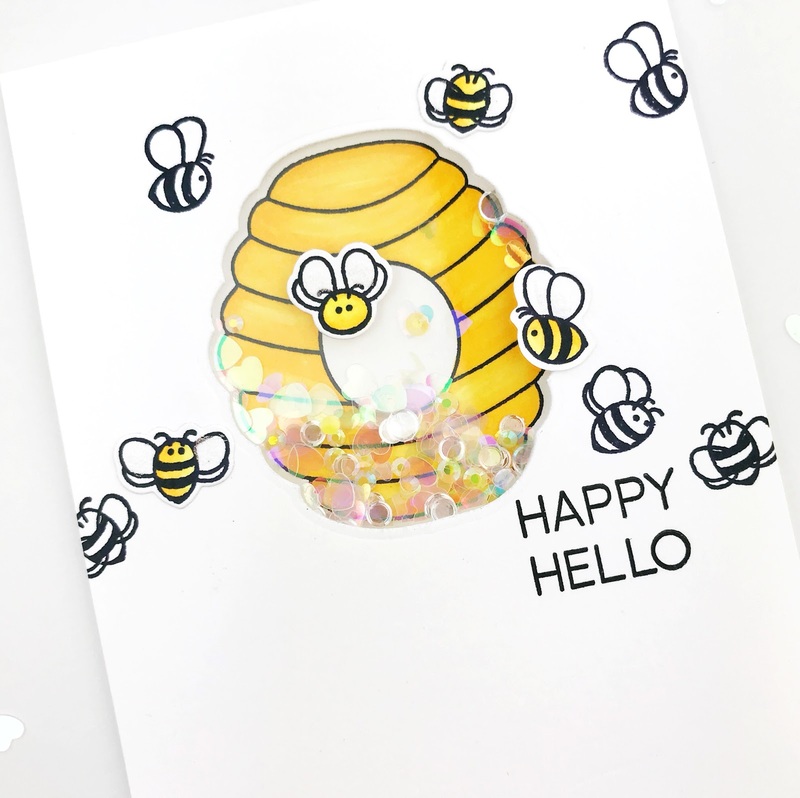 This shaker card has the bee hive stamped & Copic colored on the front, the shaker panel placed over top and lots of bitty bees added. 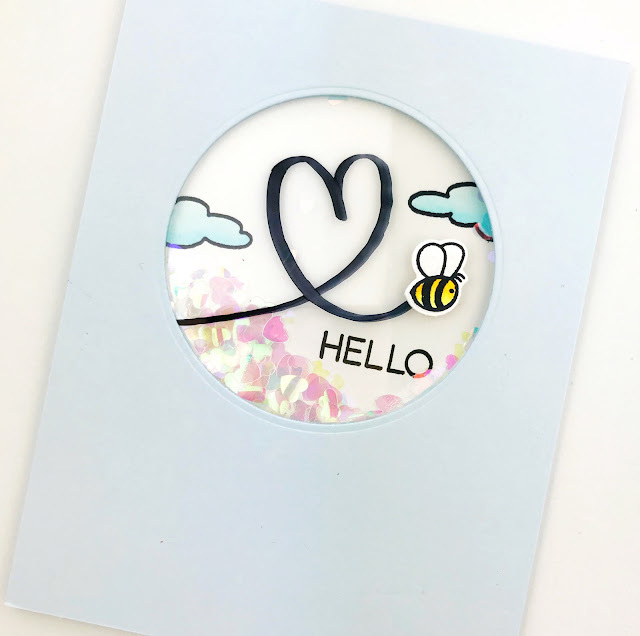 On this card, I made a basic circle shaker and used a black Copic marker to doodle the heart-shaped trail on the acetate. Thanks for stopping by & big hugs!